Published: 01-Jan-1876 Signed by: APE, Carlo Pellegrini . Dimensions approximately 26cm x 38cm. 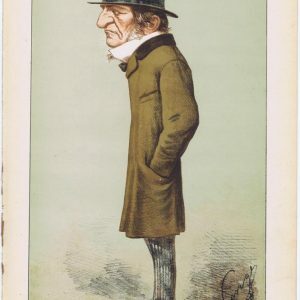 He was a British lawyer, judge, and Conservative politician. 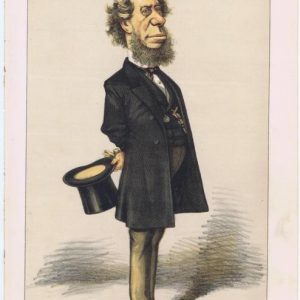 He was briefly Solicitor-General under Benjamin Disraeli and then served as a justice of the Court of Common Pleas between 1868 and 1876, as a Lord Justice of Appeal between 1876 and 1883 and as Master of the Rolls. 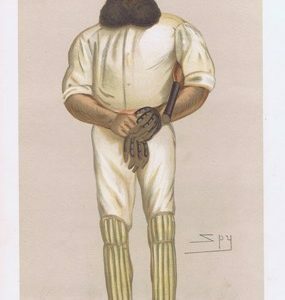 He was raised to the peerage as Baron Esher in 1885 and further honoured when he was made Viscount Esher on his retirement in 1897.